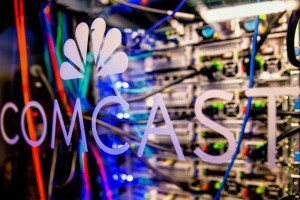 US cable and entertainment giant Comcast’s cable advertising division has launched what it describes as the next phase of an industry initiative to create a secure way to use data and share information based on blockchain technology. Comcast is working together with Viacom, Charter Communications’ advertising sales division Spectrum Reach and others to create Blockgraph, a collaborative effort to enable the secure exchange of audience insights for addressable advertising. The group said that additional media companies and service providers that have agreed to participate will be named soon. Italian broadcaster Mediaset is participating in the initiative. Paola Colombo, general manager of ad tech and business development at Pubitalia, Mediaset’s ad unit, described Blockgraph as “another example of the industry coming together to adopt new standards and technologies that will allow us to compete more effectively as a medium, while simultaneously delivering more value to our advertising clients”. According to Comcast, Blockgraph will serve as an ‘identity layer’ for the TV industry, and will provide a platform for media companies and publishers can offer to marketers data capabilities without disclosing identifiable user data to third parties. The blockchain-based platform has been developed by Comcast-owned ad tech outfit FreeWheel. According to the company, participating companies’ data stays in their own systems, enabling them to protect the privacy of consumers. Instead of sending data to a third-party provider to enable sharing between advertisers and media companies, Blockgraph, a peer-to-peer system, allows participating companies to perform ‘blind matches’ directly with one another, secured through encryption technologies, non-identifiable data and blockchain protocols. Comcast is currently working with its content arm NBCUniversal to test Blockgraph’s capabilities with plans of incorporating it into its addressable offering in early 2019. “Data is a valuable and sensitive asset for media companies and consumers so understandably, it must be protected. At the same time, data is now the fuel powering media and advertising. The TV community needs to ensure that we can compete with the data capabilities of digital-first companies. We understand that providing a safe way to protect data while benefitting from collective insights is the path forward. And we believe Blockgraph offers that path,” said Jason Manningham, general manager, Blockgraph.